Showing results for tags '3d ct scan'. 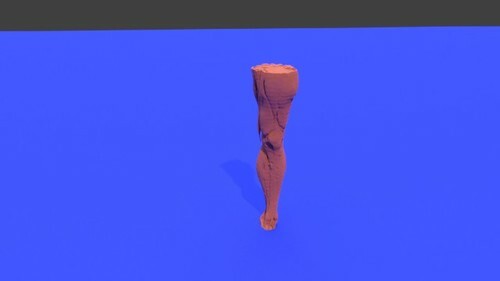 This model is the right leg muscle rendering of a 65-year-old male with left thigh myxoid fibrosarcoma. At the time of diagnosis, the patient had metastases to his lungs. The patient therefore underwent neoadjuvant radiotherapy, surgery, and adjuvant chemotherapy and was found to have an intermediate grade lesion at the time of diagnosis. The patient is still living with the metastatic disease at 2.5 years since diagnosis. 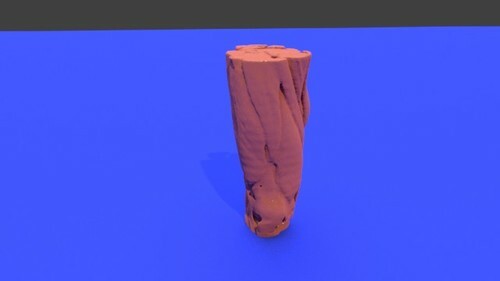 This is an STL file created from DICOM images of his CT scan which may be used for 3D printing. The lower leg is divided into four muscle compartments: the anterior, lateral, superficial posterior, and deep posterior compartments. The anterior compartment is made from the dorsiflexors, including the tibialis anterior, extensor hallucis longus (EHL), extensor digitorum longus (EDL) and peroneus tertius, which are innervated by the deep peroneal nerve. The lateral compartment includes the peroneus longus and peroneus brevis, which assist in foot eversion and are innervated by the superficial peroneal nerve. The superficial posterior compartment includes the gastrocnemius, soleus, and plantaris, which assist in plantarflexion and are innervated by the tibial nerve. The deep posterior compartment is made up of the popliteus, flexor hallucis longus (FHL), flexor digitorum longus (FDL), and tibialis posterior, which mostly assist in plantarflexion and are innervated similarly by the tibial nerve. The primary motions of the ankle are dorsiflexion, plantarflexion, inversion and eversion. However, with the addition of midfoot motion (adduction, and abduction), the foot may supinate (inversion and adduction) or pronate (eversion and abduction). 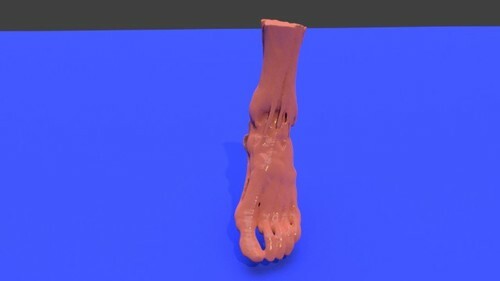 In order to accomplish these motions, muscles outside of the foot (extrinsic) and muscles within the foot (intrinsic) attach throughout the foot, crossing one or more joints. Laterally, the peroneus brevis and tertius attach on the proximal fifth metatarsal to evert the foot. The peroneus longus courses under the cuboid to attach on the plantar surface of the first metatarsal, acting as the primary plantarflexor of the first ray and, secondarily, the foot. Together, these muscles also assist in stabilizing the ankle for patients with deficient lateral ankle ligaments from chronic sprains. Medially, the posterior tibialis inserts on the plantar aspect of the navicular cuneiforms and metatarsal bases, acting primarily to invert the foot and secondarily to plantarflex the foot. The flexor hallucis longus inserts on the base of the distal phalanx of the great toe to plantarflex the great toe, and the flexor digitorum inserts on the bases of the distal phalanges of the lesser four toes, acting to plantarflex the toes. The gastrocnemius inserts on the calcaneus as the Achilles tendon and plantarflexes the foot. Anteriorly, the tibialis anterior inserts on the dorsal medial cuneiform and plantar aspect of the first metatarsal base as the primary ankle dorsiflexor and secondary inverter. The Extensor hallucis longus and extensor digitorum longus insert on the dorsal aspect of the base of the distal phalanges to dorsiflex the great toe and lesser toes, respectively. 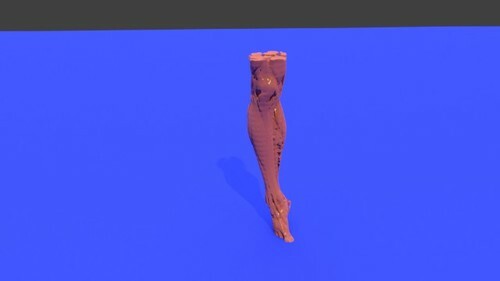 This model was created from the file STS_022.